This Sunday I sat alongside Johnny in mass as he held baby Francis in his lap. Out of the corner of my eye I watched Francis flail and yell and spit up on the back of Johnny's hand and I watched Johnny bounce him and whisper in his ear and try to keep his eyes on the altar all at the same time like a veteran parent. No complaining, no wincing, no muffled objections. He held the baby, and he sat. I realized then like I have a hundred times how lucky my kids are to have so many siblings. I know I have said this before but it's too impossible to ignore when you absorb so many moments of total inconvenience met with total generosity. Of course my kids get annoyed at each other, of course. They fight, and hit, and pull hair, and yell, and spit. All of it. But they also can have a conversation while a grubby baby hand is yanking their hair, and they can give with kid a saggy diaper a piggy back ride, and they can be interrupted, and drooled on, with a leaky bottle spilled on their comforter, and a shoe gone missing, and a crying baby in the middle of a movie. I know you've heard all the common objections to a large family. We all have. How can you make time for them all? Won't they miss out on so much? Won't they got lost in the shuffle? Won't they be desperate for their own space? I've given answers to those questions a thousand times in my head, but the only one worth hearing is this: they will know how to love, they will know how to love, they will know how to love. They'll learn it in the chaos, and in the interruptions, and the inconveniences. They will learn it in the spit up, and the tears, and in helping little ones get into pajamas. They will learn in the waiting to be served, and needing to serve, and in all of it. What amazes me is how beautifully they already live this way. It's not perfect but it's pretty damn good considering I'm still on the verge of tearing my hair out at any given moment. Their world is built-in sacrifice, whether they like it or not. They are born into sharing. They are born into disruption. And, trust me, they are better for it. They are the lucky ones. If you ever find yourself in a moment of self-doubt because your kid's shower runs cold since the littles bathed too long, or because they missed out on the last of the milk, or because a baby spit up in their lap, remember how good every bit of it is. And how beautiful they are becoming in the middle of the mess. I love this so much. I only have two right now but still find myself amazed at the grace with which my 3 year old can respond to her little sister--instead of being annoyed at crying or some other inconvenience/annoyance, she'll call her "sweetie pie" and get her a water bottle, help her up from a fall, etc. I sometimes have moments of guilt or doubt at their relatively close spacing--did I rob her of a childhood?! But I know it's for the better, and that siblings are one of the best gifts we can give our kids. Thank you for this! There are days when it just feels like I may actually lose my mind and then there are days when I look around amongst the chaos and see just how good we have it and how grateful I am that we didn't listen to our own selfish wants but listened to Him. It's a good life. Thank you! Needed every little bit of this! Oh so very,very well said! I LOVE this. 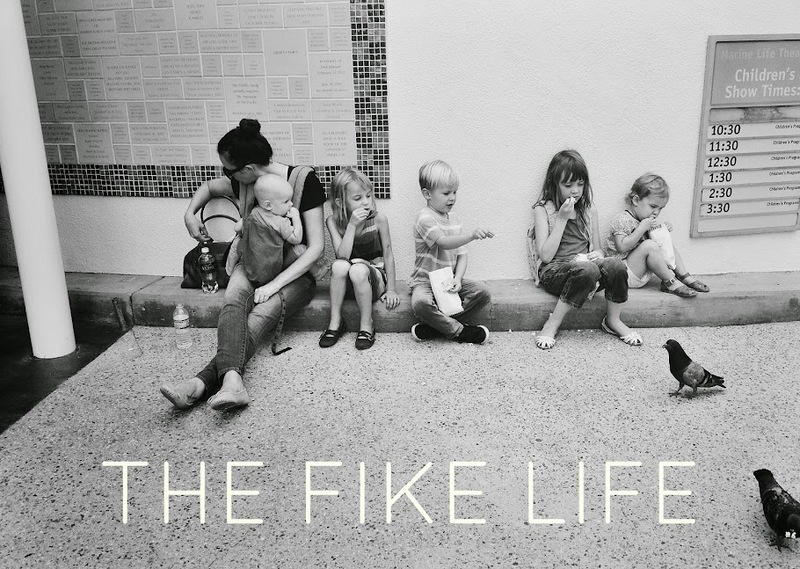 It's a beautiful meditation on the reality of life and living in a large family. Thank you for posting this. Will be coming back to re-read!! Yup. I have small three boys, and a baby due in October (boy or girl? place your bets now! ), and I had an epiphany when I was due with my third: Although my kids will get fractionally less of ME with each new one, they get a whole, entire other person to support them for the rest of their lives. I mean, I hope. God willing, they'll all live longer than I will, and also God willing, they will always have their three siblings to fall back on. A gift, indeed. Totally need to hear this 100 times AMEN!!! "What amazes me is how beautifully they already live this way. It's not perfect but it's pretty damn good considering I'm still on the verge of tearing my hair out at any given moment." - I think 50% of my moments are at church and 45% are in the mornings trying to get out the door to school! I love this, and have found it to be so true with my own brood of 4, 7 and under, #5 due in June. My oldest, Gus, is 'the baby and toddler whisperer' at co-op and in the nursery. He is just so patient and loving with the littlest kids. He is almost 6 years older than his brother, Ryan, the same age gap between me and my only sibling. My sister and I fought terribly and I was awful to her. She was completing infringing on my territory, etc. Gus and Ryan have SUCH a different relationship, and I think it's largely because, thanks to his 2 sisters 12 months apart, he doesn't remember ever being an only child. Actually, he doesn't even remember only having 1 sister. Ryan was a special gift to him, another boy finally! He certainly loves his little sisters, but the bond he has with Ryan is so, so special, and it's amazing to see how that has impacted his abilities with all babies and toddlers. I have so many days where I see the 4 of them piled up on the couch together while Gus reads a story to everyone and think how much I wish I'd had that when I was growing up. They are truly so lucky! Tears! Thank you for this. This was beautiful Blythe. And I think it works because of your healthy tphilosophy of parenting. It works for you guys and that's great. But I do know some large families that aren't working so great, too. So I guess it really depends on the parents and the vibe in the home. As a child of a big family and now the mom of one, I couldn't agree more. I have 10 brothers and sisters and my life would be incalculably different if any of them weren't around. My parents weren't perfect and oh my goodness neither am I. But we all have each other and it's a beautiful thing. A beautiful, messy thing. Ah this one making me cry 😭. So good, Blythe. Thank you so much for these beautiful thoughts. I have 3 right now, but I agree, I am already starting to see this. I am also realizing just how much of my life was my own choosing and how I am lacking in so much from always having my own way, even as an adult. You are so, SO right!!!! My heart: "What amazes me is how beautifully they already live this way. It's not perfect but it's pretty damn good considering I'm still on the verge of tearing my hair out at any given moment. Their world is built-in sacrifice, whether they like it or not. They are born into sharing. They are born into disruption. And, trust me, they are better for it. They are the lucky ones." This is so good. Reading this as I am twelve weeks pregnant with my third babe. Thank you!!!! This brought a tear to my eye! It is truly so sweet and precious to witness our littles taking care of each other, serving each other with generosity and charity. Could not have said this better. So incredibly true. Thank you for writing this. Oh my goodness. Thank you! You are theeeee most relatable person I follow on the internet hands down. We have had 5 kids in 6 years (and counting). And there is just so much guilt sometimes. How many times has my oldest shivered in the shower because her little brothers took a really long bath that got refilled one too many times? And sometimes she just deals with it and hops out and has even said, "I'm so glad they had a warm bath!" in a genuinely concerned manner. I would be so peeved if it were me though! It's beautiful to see them grow and stretch to become compassionate, flexible little people​. So worth all the chaos!